It’s that time of year again! Please join us for our fourth annual Swing Away charity golf event on Friday, September 6th, 2019. We are honored to announce that, for the fourth consecutive year, Craig Hospital of Colorado is the benefactor of the event! Breakfast and lunch will be provided along with a goody bag for each player. 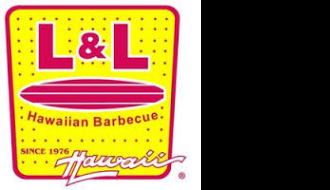 Lunch is being catered by L&L Hawaiian BBQ from Aurora. Afterward, during the post-event prize ceremony, you will also have an opportunity to bid on generously donated items during our silent auction with 100% of the proceeds going directly to Craig Hospital. Registration is easy! Click HERE or go to the Registration/Sponsorships tab above to get started. There you can enter your player information, and identify other players within your team. Also, on the day of the tournament, there will be the option to purchase special items to enhance your golf game like a putting contest entry, mulligans, string, and the absolutely essential Gold Ball! Golf not your game? There are volunteer opportunities for anyone willing to support. This event doesn’t happen without you and other great people like you. Contact us at swingawayllc@gmail.com if you’re interested in making this year another success for the patients at Craig Hospital. Can’t make it to the event? You’d be hard pressed to name a charity that wouldn’t take any generous donations you could make. 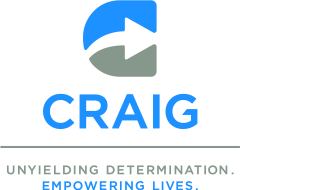 If possible, please follow THIS LINK and you can donate directly to Craig Hospital and their many programs that go on to benefit victims of TBI (traumatic brain injuries) and other life-altering injuries. Want your business as part of the event? Sponsorship packages are available to provide you added recognition and business opportunities at the event. We have items that include on-course demonstrations, signage, recognition, and numerous other items. Contact us at swingawayllc@gmail.com if you’re interested in being one of the big reasons why this event will help so many of those in need. If you dont see a sponsorship that works for you, please contact us and we will work something out!! Whether you’re with us on the greens, you’re volunteering at the event, or you’re able to make a donation of any amount, thank you for your support. That said, we hope to see you on the Links!